I often have the children do a 10 minute free write on Fridays. Sometimes I sit and write with them. It is good for me to realize how hard the writing tasks I give them can be. 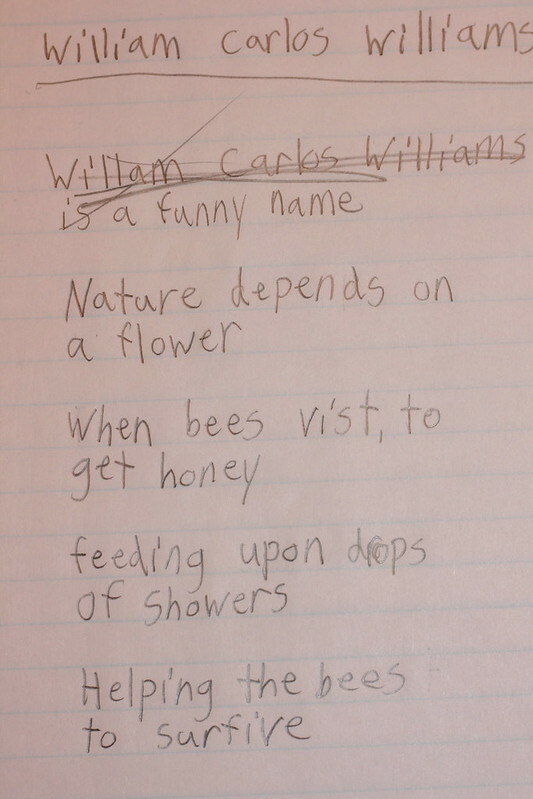 This past Friday, I asked them to write a poem in the style of William Carlos Williams’ The Red Wheelbarrow, which we had studied all week. I told them to focus on simplicity, brevity and concrete images. When the time beeped, we took turns reading our poems aloud. 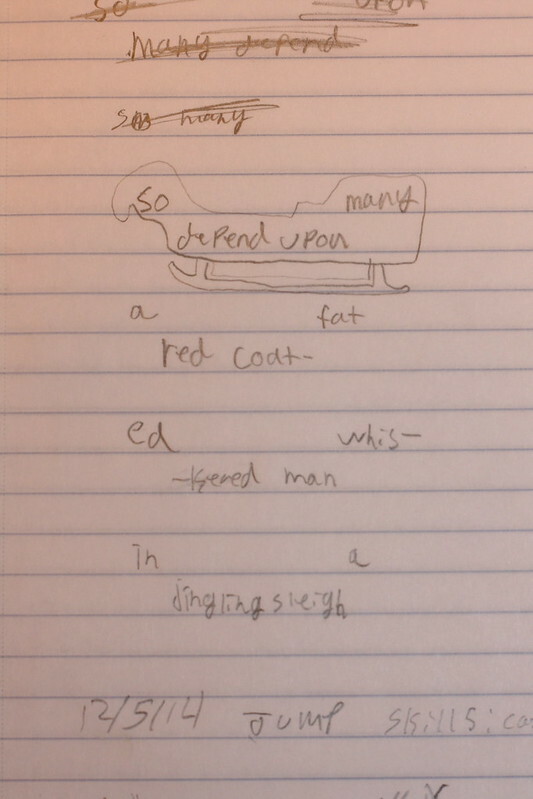 To my surprise, three of the kids used the form of their poem to create their image, like Williams did. I never thought to challenge them in that way. 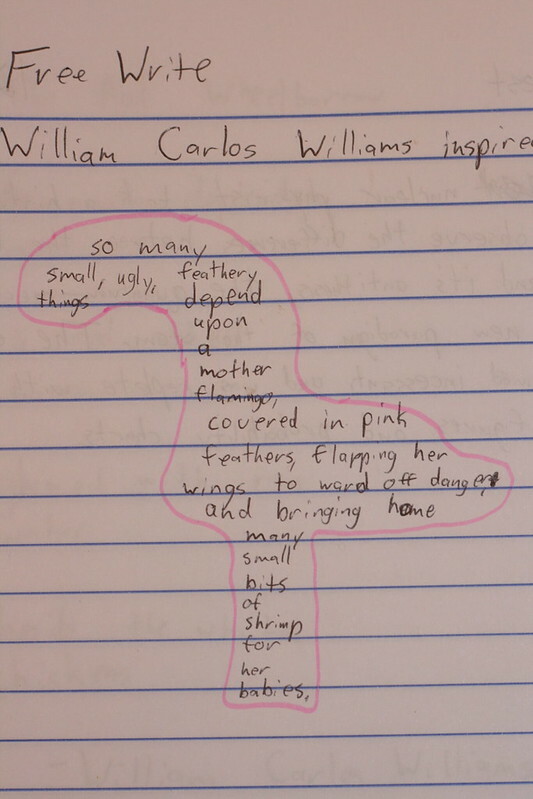 Below is 15 yo Sidney’s poem, which I am sure he wrote to please his flamingo-loving sister . . . . .
Rachel, like me, focused on simplicity . . . . . .
Nine-year-old Prairie performed the most challenging feat of all . . . Her poem takes the shape of Jesus in the manger. 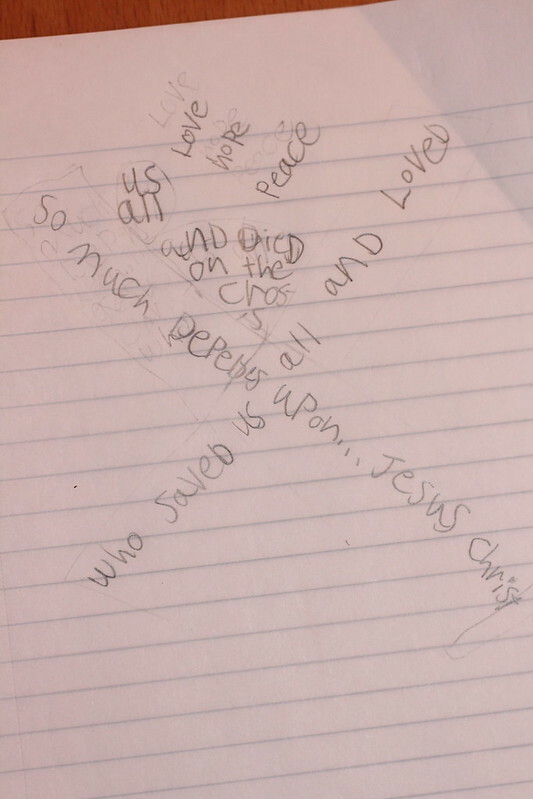 In case you missed it, the words “love, hope, peace” at the top are the streams of light or the halo that is typically glowing over baby Jesus’ head in paintings.